Well, that was fast. 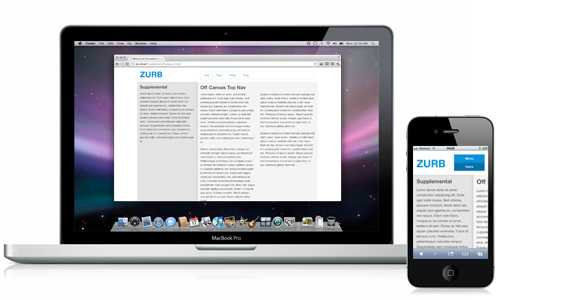 The team at ZURB just added off canvas multi-device layouts to their responsive design framework, Foundation. Because Foundation is built for rapid prototyping you can start trying these new multi device layouts with your own designs right now. "We've put together four different layouts, each with specific functionality and code for you to check out and download. Be sure to check these out on different devices, or resize your browser down to see the mobile device presentation. These are examples, but they are durable, tested code. Feel free to use these as any other Foundation core or add-on component, MIT licensed and freely available. " Disclosure, I'm an advisor to ZURB but impressed nonetheless!